South-East Cornwall includes the two districts of Caradon and Restormel. 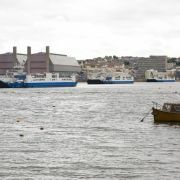 The region is the historic gateway into the county with the tiny town of Torpoint, nestling on the banks of the River Tamar, now entering its third century as host to a ferry connecting Cornwall with the rest of the UK. Compared to the exposed north coast this is an area of relative calm. 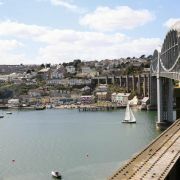 Family-friendly beaches, picturesque fishing villages, rolling green hills and lush river valleys characterise a landscape steeped in history, from the Tristan stone, a sixth century engraved monolith thought to be the burial stone of Tristan, son of King Mark of Cornwall, to the 14th century blockhouses that guard the entrance to the harbour at Fowey. 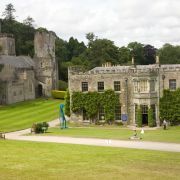 Not far from Torpoint, and a beautiful train ride up the Tamar Valley from Plymouth is Cothele, Cornwall’s best-preserved and most important Tudor house, dating from the fifteenth and sixteenth centuries, now owned and run by the National Trust. 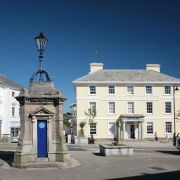 The base of Caradon district council is in Liskeard, an ancient market town at the head of the River Looe valley and one of the few remaining Cornish towns to have a traditional weekly market. 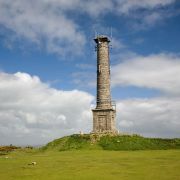 A former stannary (tin coinage collection) town, Mining remains an important part of Liskeard’s heritage. In 1828 a canal was built to transport stone from Liskeard to Looe and today the rail link between the two towns, also a remnant of the mining industry, is one of Cornwall’s scenic treats. 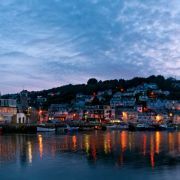 Looe, home to a monkey sanctuary and a marine nature reserve, is a busy fishing port and plays host to scores of beautiful old fishing boats each summer during the famous Looe Lugger Festival. The countryside around the Looe estuary is some of the most sheltered in Cornwall, and the steep wooded sides of the river valley provide an environment rich with wildlife. 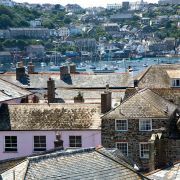 From Polperro, a picture-perfect fishing village renowned for its former smuggling activities, the coast wends it way south to the village of Polruan, on the banks of the Fowey River, which leads inland to the charming town of Lostwithiel, thought by some to be Cornwall’s hidden treasure. Once the Duchy capital this small, bustling town has a character all of its own. 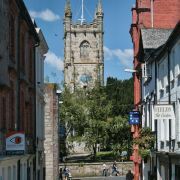 Indeed John Betjeman is reputed to have said 'There is history in every stone in Lostwithiel'. 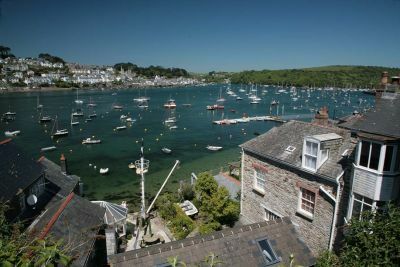 Come back down the other side of the river and you will reach the town of Fowey, pronounced 'Foy', which, due to its deep water and easily defendable harbour, has been an important port since pre-Roman times. 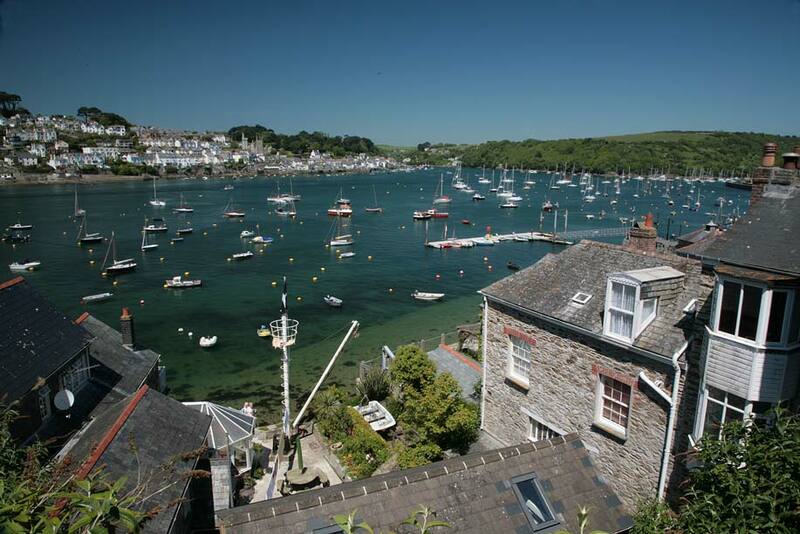 Exceptionally busy throughout the year Fowey, with its spectacular hillside setting, lush surrounding countryside and calm moorings for leisure craft, easily justifies its popularity with tourists. 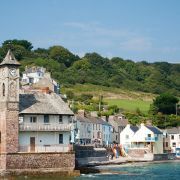 The town is also famous for its association with Daphne Du Maurier whose former home, Menabilly, just a few miles from the town, is thought to have been the setting for Manderley in her famous novel, 'Rebecca'. The administrative capital of the borough of Restormel is St Austell, home to the famous St Austell brewery, which celebrated its 150th anniversary in 2001. 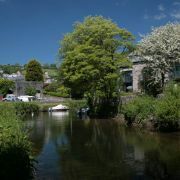 The oldest structure in the town is an ancient granite bridge, straddling what is known locally as the 'White River', a reference to the china clay industry that has had a profound impact on the town and its neighbouring countryside. St Austell is currently undergoing large-scale regeneration thanks in part to the world famous Eden Project whose iconic biomes are situated just a few miles away in a former clay pit. 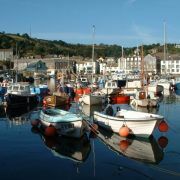 The largest settlement on the coast between St Austell and Falmouth is Mevagissey. 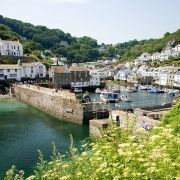 Situated on the eastern edge of the Roseland Peninsula, Mevagissey is yet another picturesque fishing port, with a working harbour built on the site of a medieval quay. The old centre is a jumble of narrow alleyways filled with gift shops and galleries, restaurants and guesthouses. Fishing trips are available from the harbour and the town makes a good base from which to explore the Eden Project, just six miles away.